16.1 acres of land on Lake Hart. Property has over 650' of frontage on Lake Hart. 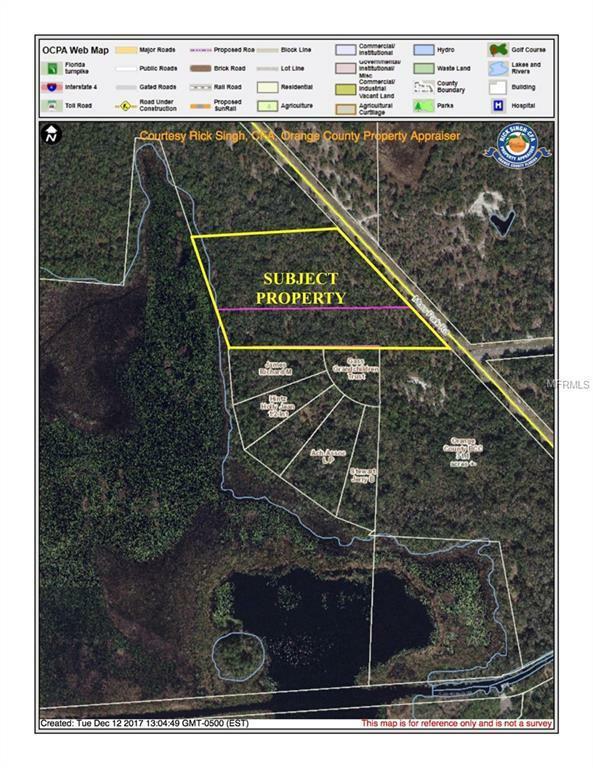 Property is due east of Lake Nona on Moss Park Rd. Buyer is responsible for any necessary DRI modifications, zoning and entitlements. Listing provided courtesy of Colosseum Properties Llc.